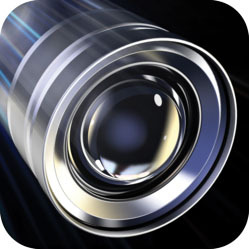 If I have one app recommendation that would be useful to the Sports Shooter community, it's Fast Camera by i4software. It's like adding a motor drive to your phone (if you remember what a motor drive was). Fast Camera is the first camera app I've found that just plain shoots fast and without crashing. It doesn't have filters or borders, you're just going to get regular plain flavored photographs. But you can fire bursts of a certain number of frames or just rock and roll on full auto for a while. I've shot 100 frames straight without any problems. But one thing you need to know about Fast Camera is that it initially saves its photos into its own memory sandbox, not your iPhone's Camera Roll. So when you're done shooting you need to select the shots you want to save (or select all) and wait for the app to save them to your Camera Roll. And be careful not to ignore Fast Camera's warnings when the photos in its memory are going to be erased… Because it's not kidding. They will be erased after review. It's a small price to pay for a great, unfiltered camera app. Agenda - a great calendar app. Moves - a pedometer that tracks walking, running, and cycling automatically throughout the day. For cameras, I love Tadaa. It's like Instagram and Hipstamatic but has some cool filters and frames the others don't. For games, 10000000 is a great time killer, and Spaceteam is amazing if you've got friends nearby.